We will now discuss about the manual installation of Virtualmin. Unlike the Automated Virtualmin Installation, to make use of this installation type, your OS does not need to be freshly installed, nor does it need to be a supported operating system. 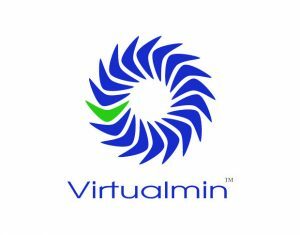 This method, however, requires significantly more knowledge on the part of the person doing the installation, and a much larger time investment to insure that all necessary configuration is performed and all Virtualmin managed services are working correctly. If you are not extremely comfortable with your operating system, the services used in a hosting system, and performing various configuration tasks from the command line, you are advised to use the automatic installation on a Grade A supported operating system. The partitions on your Virtualmin server should be allocated in one of the the following two ways, depending on your requirements and preference. Either partition scheme is supported by the Virtualmin Professional Installer. Other partition layouts may lead to incorrect configuration of filesystem quotas, but can be corrected after installation is completed if other partitioning schemes are preferred. In this partition layout, you will only have one system partition plus a swap partition and /boot partition. The system partition contains /home for users, /var for logs and databases, as well as all of the normal system executable files, documentation and libraries. It is often simpler to deploy. Traditionally, “one big partition” was considered problematic from an administration standpoint, but most such issues have been resolved by modern filesystems, backup utilities, and improved hardware reliability. swap: The swap partition should be at least twice the size of RAM on the system. /boot: The /boot partition should be large enough to accomodate a few system kernels and initrd images. Your OS vendor probably knows best what size this should be. /: The remainder of the disk(s) should be devoted to /. This is where all system and user data will go. Note If you plan to use disk quotas, you should be aware of a few potential gotchas with this type of deployment. Quotas apply to all files on a given partition, regardless of the directory. In the case of mail delivery and processing, there are several very sneaky ways for this to cause failures of various types. Because of this, if you are using disk quotas, you probably want to make /home its own very large partition. This layout spreads files across a few partitions, in order to facilitate usage some types of backup utility as well as making some types of administrative task easier (for example, installing larger disks for some partitions at a later time). Historically, multiple partitions were considered wise administrative policy, but most modern systems and backup utilities eliminate the reasons for utilizing multiple partitions. /: This partition is used for all of the operating system files, executables, and configuration files. This partition should be at least 3.5 GB for most operating systems. /boot: The /boot partition should be large enough to accommodate a few system kernels and initrd images. Your OS vendor probably knows best what size this should be. /var: The /var partition is where system logs, various changing data, and MySQL and PostgreSQL databases are stored. Depending on whether you will allow your domain users to use the database features, this partition may be between 2 GB and 10 or more GB. If users are expected to be heavy database users, you may opt to divide the remaining disk space between /var and /home. /home: The home partition is where all of your domain users data, email, CGI scripts, logs etc. will be stored. Pretty much anything that belongs to your users, except for MySQL and PostgreSQL databases, will reside on /home. Devote the remainder of your disk to /home, as usage will likely grow rapidly if you have many users. With the exception of Apache, standard versions of these applications are usually sufficient, as long as they are reasonably modern and have all security patches applied. Additionally, if your system supports disk quotas, and you will be using them with Virtualmin, you need the management tools for disk quotas. Webmin also provides support for firewall management on most UNIX and Linux platforms, assuming the appropriate command line tools are available. Note The Apache web server package provided with most operating systems requires customization to be suitable for use in a virtual hosting system, specifically it must be rebuilt with suexec_docroot set to /home. The standard OS Apache package will not work with applications in home directories, and thus is not suitable for virtual hosting usage. A custom build of Apache is not optional on most operating systems. This configuration cannot be done without a rebuild of the suexec binary on most operating systems, for security reasons. Debian and Ubuntu provide an apache-suexec-custom package that can be used, instead of rebuilding the binary; it must be installed and configured appropriately for executing scripts in /home (but, Debian and Ubuntu LTS are both Grade A supported operating systems by our install script, and so there should rarely, if ever, be a need to perform a manual install on these operating systems). Download and install Webmin and Usermin, from http://www.webmin.com Webmin.com. There are multiple package types of available, so choose the most appropriate one for your OS. Installation instructions can be found on the Webmin site. Once Webmin is operational you can download and install the Virtualmin modules and theme in either RPM format (for RPM-based Linux distributions), deb format (for deb-based Linux distributions), or wbm format (for any other UNIX or Linux system), and install them using the Webmin Modules module found in Webmin:Webmin Configuration. You will need to make a note of your serial number and license key, found on the http://www.virtualmin.com/serial/|Serial Numbers page at Virtualmin.com, so that you can login using the serial number as the username and the license key as the password. On most platforms Apache must be built with suexec_docroot set to /home. This requires a recompile of Apache, unless an apache2-suexec-custom. We provide packages for the most popular operating systems in our GPL repositories at http://software.virtualmin.com/gpl/ . For other systems, you will need to download a source package from your OS vendor and rebuild it with the necessary change. On Debian and Ubuntu systems, you can instead use the apache2-suexec-custom package. This option requires no rebuild of Apache. Configuring the custom suexec package is performed in /etc/apache2/suexec/www-data, and is as simple as changing the first line from /var/www to /home. If installing on Ubuntu, you’ll need to edit /etc/apache2/conf.d/php5.conf, and comment out the two SetHandler lines. BIND needs to be installed, and configured to accept queries from any address. Also, it is recommended that you configure the system to query the local name server by adding 127.0.0.1 to /etc/resolv.conf. Postfix should be installed, and configured for virtual hosting. The best way to do this for the vast majority of deployments is to use a simple map file. Also, make sure that home_mailbox is set to Maildir/. Save it, and restart Postfix. * ?test "$VIRTUALMIN" != ""
The procmail-wrapper program is necessary for for mail to work properly, and in particular, spam and virus processing. SpamAssassin should be installed if you will be using the spam filtering features of Virtualmin. ClamAV should be installed if you will be using the anti-virus features of Virtualmin. Dovecot should be installed and configured for use with Maildir mail spools. PAM or shadow authentication should be used. If you plan to use MySQL, or any of the Install Scripts in Virtualmin Professional that rely on MySQL, it should be installed, and accessible to localhost. The root account should have a password set. Once Webmin is installed, you will need to configure the MySQL module to know the root MySQL password. Note – Virtualmin does not require MySQL, and no Virtualmin-related user data is stored in MySQL. If you’ve read setup guides on the web for virtual mail hosting that require MySQL, we strongly recommend you ignore them. This is a very common source of confusion for new users, and there’s simply no reason to introduce the complexity of this kind of deployment. If you plan to use PostgreSQL or any of the Install Scripts in Virtualmin Professional that rely on PostgreSQL, it should be installed, and accessible to localhost. If users will be sending email through your server, you will need to configure saslauthd. This requires interaction with your MTA (probably Postfix), and it should be configured to use PAM or shadow authentication. When enabled, Virtualmin can allow your users to create and manage Mailman mailing lists.